k. r o s e c a k e s, based in Washington, D.C. (my old 'hood, sort of) is helmed by Kristine Bender and is lovely, refined and absolutely classic. Plus, check out the cake flavors below-they'll have you saying, "I do, I do, now let's get to the cake!" 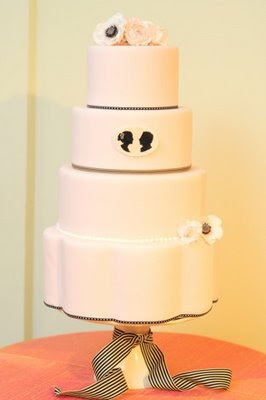 Cake photo via Ritzy Bee.